Kyle Haggerty - You need drive, ambition and work ethic to be SUCCESS in Pageantry. Ask the Crown Host and Pageant Expert, Stephanie McGrane sat down with Kyle Haggerty to discuss many topics to include, the on stage question, how to be successful go from pageants to modeling and many other great topics. Kyle is a native of Chicago, Illinois and a graduate of Drake University with a Bachelor’s Degree in Psychology and a minor in Dance Performance. He is also a graduate of the Keller Institute with a master’s degree in marketing. In 1989, Kyle founded Haggerty & Associates and has since been personally coaching pageant contestants on the local, state, national and international levels for Miss America, Miss USA, Miss Universe, Miss World, Miss International, Miss Africa and many more. He was Miss America 2010 Caressa Cameron’s pageant coach and was the modeling and visual poise consultant to Caitlin Brunell, Miss America's Outstanding Teen 2007. Through his work with major modeling agencies in the Chicagoland area, Kyle has done print modeling and commercial work with companies such as Sears Roebuck, Montgomery Wards, Nestles Candy, Reebok, and Bloomingdales. Kyle is full service coach - a one stop coach ~he does it all. 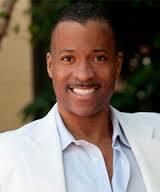 A competitor himself, with titles of Mr. USA and Mr. Black America, he rounds off his resume, also as a performer. Kyle was a principal dancer in the movie “Blues Brothers.” He also had the opportunity to tour with musicals such as A Chorus Line, Cats and 42nd Street. Kyle has also been featured on numerous television shows on BRAVO, MTV, and E! Television. He is a 9-time United States National Dance Champion and has also coached gymnastic (girls levels 7 through 10), cheerleading/pom-pon and competitive dance for years. There has been a misconception that titleholders and participates should not tell modeling agencies they have participated in pageantry. The “P” word in the modeling world is a bad word. Kyle has spoken to many modeling experts and this is NOT true! Agencies say they like working with pageant girls because: 1. They have a good work ethic, 2. Their grooming is always in order and 3. They know how to walk a runway or stage. The experts do state they feel the problem some pageant girls have is more of an ättitude" problem or a sense of entitlement. For example, when you are in a pageant it is all about YOU. YOU buy a gown that is all about YOU. YOU do your hair and makeup that best suites YOU. The judges are presented the best YOU. In modeling it is the reverse. YOU are a canvas, so whatever the designer wants YOU to wear, say, or model YOU have nothing to say, YOU are a blank canvas and they designer is creating you into what THEY want you to be. Many pageant girls cannot make that transition.....they are used to it being all about them. Kyle tells a story of sending a girl out to a modeling job. Her hair, makeup everything was done in the designers vision. The girl looked in the mirror and washed óff all her makeup!! She was asked to go home.... and Kyle then got a phone call from the designer. When you are transitioning from pageants to modeling, it is okay to say you have done pageants. Just remember Kyle's sound advice....highlight your attributes, what you have learned and the skills you have - not the crowns you have, they do NOT care about your crowns...only your accomplishments. He goes on to say, include information such as if you are a singer, an actor, a dancer, a fitness model, what runway have you worked, have you been a commercial model or have you acted? They want to know all the attributes you have learned from pageants ~ not the titles you have held. How do you convert from pageants to modeling? In his workshops, Kyle discuss how to market and use your pageant attributes and convert them from pageants to modeling. Do not let someone tell you that if you have done pageants the modeling world doesn’t like you. In most cases, you know how to do your makeup, you know how to do your hair, and most pageant girls their bodies are in order. More of Kyle's insight, some girls are taller, if you are under 5’7” you need to know you will be doing print and commercial modeling. If you are 5’8” and taller you can do print, commercial and fashion. Most pageant girls know how to pose in front of a camera. With pageant girls there is not a big learning curve, its more attitude than what you have done. So you want to make sure you highlight your experience and what you bring to the table. You can do it!! Just know where you fit in the industry. Can anyone make the transition from the pageant world to the modeling world? Does height, age, or size play a factor? Do you have to have a certain look? When Kyle meets with his clients they have a “Come to Jesus” meeting.....this is not a bad meeting, it’s a good thing. This is where he will tell you what you need to do to be successful! Example: You have done pageants and now you are out of it and back to your regular body, you know the body you have in pageants and the body you carry everyday are not the same thing. You have to remember to keep it real. If you are under 5’8” you are not doing fashion, however that doe mes not mean you cannot do commercial or print. If you are ten pounds overweight you are NOT going to do print because the camera adds 10 pounds, unless you are doing plus size modeling. Even as a plus size model you need to be taller than 5’9” to be successful. That leaves commercial, promotional work, spokesmodel work. Anyone can model, it’s just being placed properly, like picking the best pageant for you. 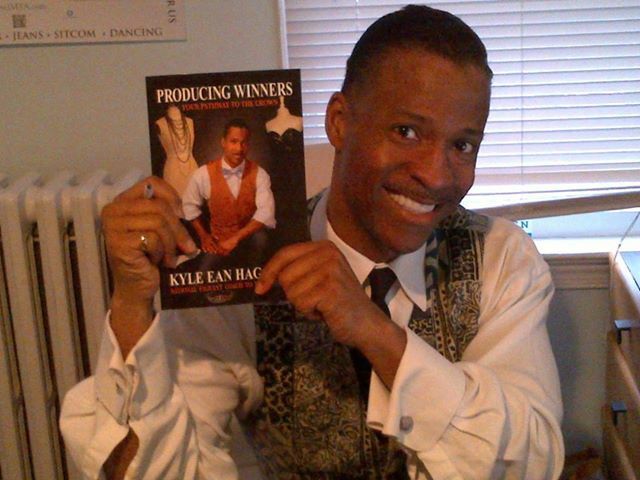 Order Kyle's book, Producing Winners® Your Pathway to the Crown and mention that you saw his interview on Ask the Crown to have your copy AUTOGRAPHED and a 30 minute FREE strategy session with him!! Be sure to check out our next segment with Kyle to learn what a successful competitor and coach can do to help you improve your pageant skills! This interview is full of information. You do NOT want to miss it!